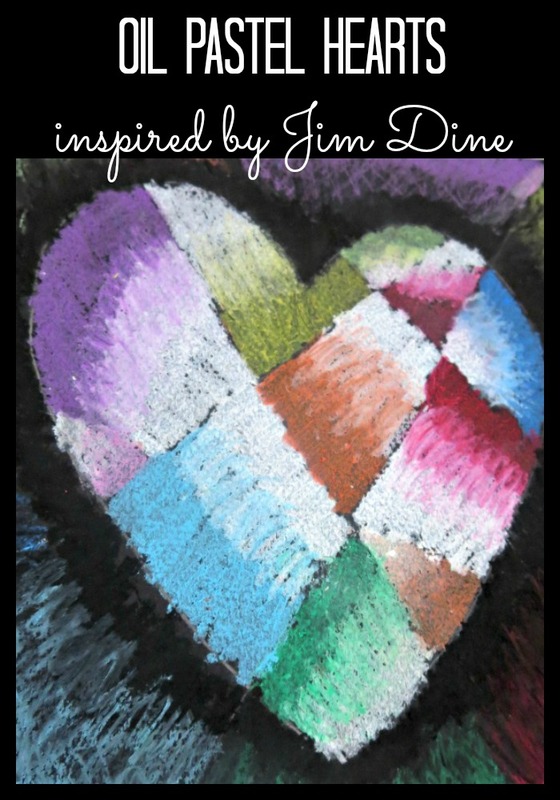 My 9 year old really enjoyed this oil pastels project based on the work of an American artist Jim Dine. It will make a great present or a special memory for Valentine's Day. Sometimes I think that my Smarty does not really like art. 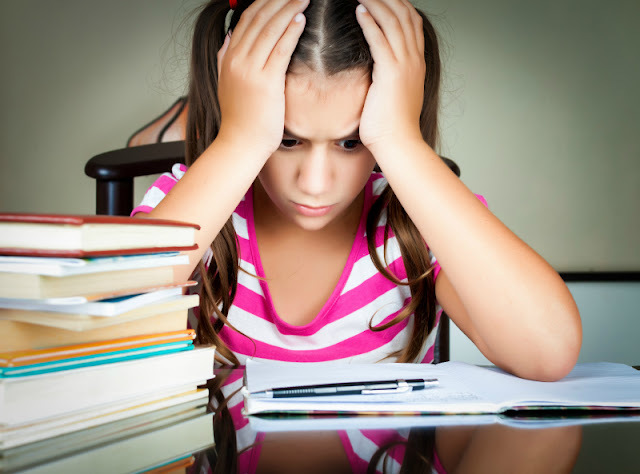 She practically never chooses art as an activity of her choice when she has free time, and in school they only have art once a month as a parent-driven Art Vista activity. I ran into a parent volunteer for this activity recently, and she commented to me how much my daughter actually enjoys these art lessons and how much care she puts into her projects. It seems that she enjoys art more when art is guided than when it is open-ended. So when opportunity presented itself to participate in an art seminar conducted by our local organization supporting gifted youth, I decided to try it out. Lyceum is a volunteer parent participation organization supporting gifted students of our county, and it was our first seminar with them. The teacher was a fellow Mom who is also an art teacher. 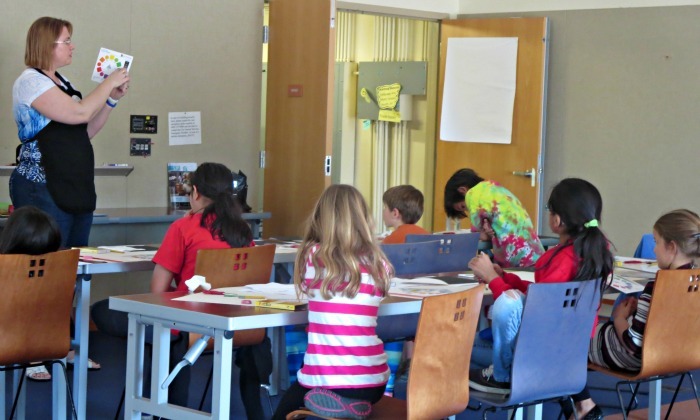 9 kids who came to this seminar during a Super Bowl Sunday were not disappointed. Ms. T took them step-by-step through the project by first showing them examples of Jim Dine's work and then explaining to them how to create their own Jim Dine's inspired hearts. The class lasted more than 2 hours, so instructor had time to cover a lot of ground. She started by introducing students to pastel blending techniques by using this free printable from Art Kids Club. 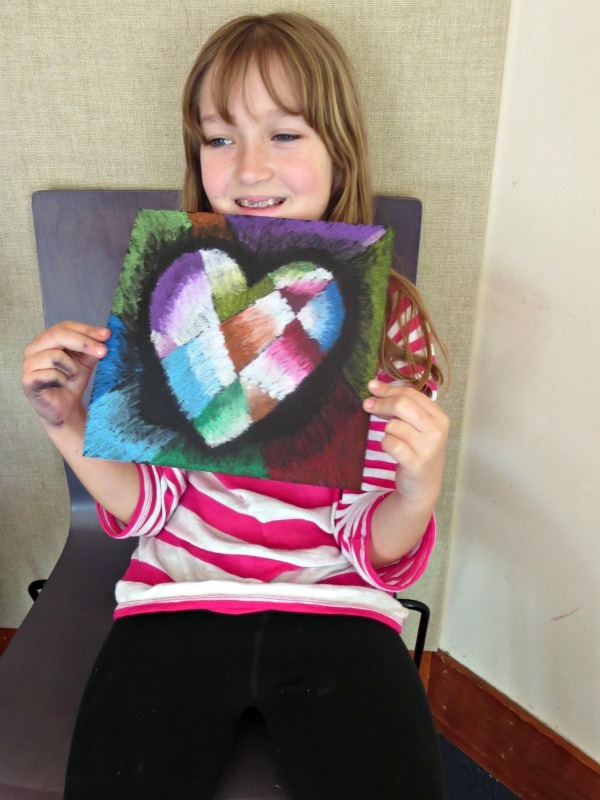 Then the kids talked a bit about symmetry while sketching and cutting out a heart template. Then they moved on to transfer their heart to a 9"x 9" square of thick black art paper. 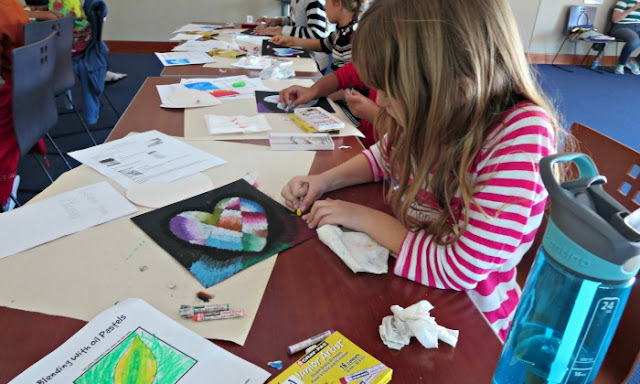 Kids used rulers to divide their hearts into sections and then blended colors of their choice with white to create inside of the heart. 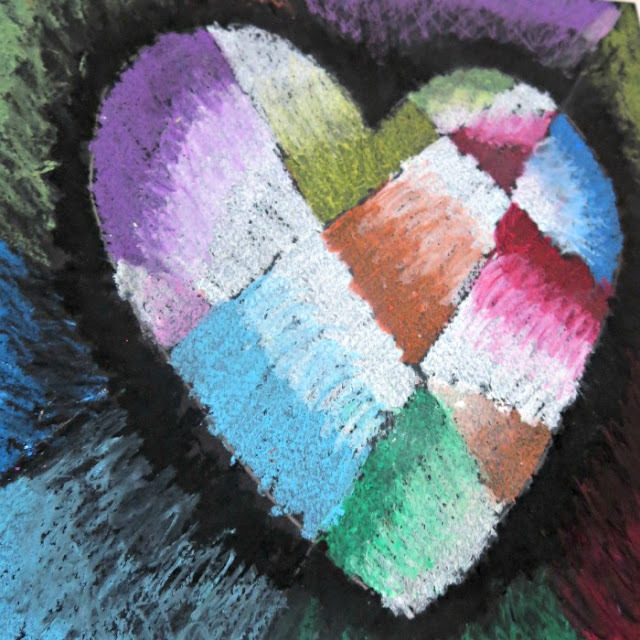 The teacher also explained the concept of negative space and using darker pastels around their heart to make the colors pop. In the end of the seminar, Smarty was quite exhausted but very happy with her result. She already gave her heart to Papa as an early Valentine's gift, and he promised to frame it. Smarty's heart looks great! My kids would love an art class. That really is striking. I'm sure the geometric components of the project would appeal to the left-brainers in the class. Whereas my kids fight me tooth and nail if I attempt to guide any sort of art project they create. TOOTH AND NAIL, "No Mommy that is not how I want to do it." I love how her project turned out, it is very striking, and as the instructor commented "very well thought out."